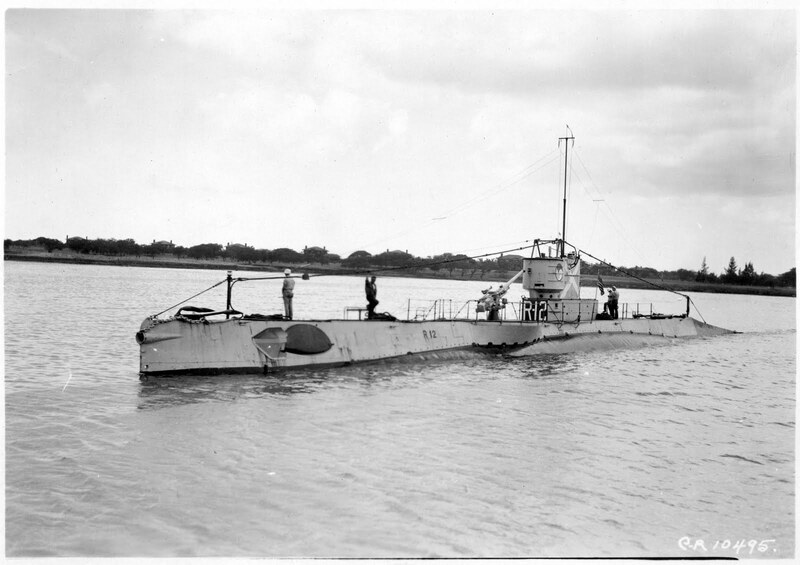 USS O-9 (SS-70), a 500-ton submarine, was commissioned in 1918. During the First World War, she operated along the Atlantic coast. Although she was sent to Britain for combat, the war ended before she reached Europe. After serving as a training ship, she was decommissioned in 1931 and spent the the next ten years in reserve status in Philadelphia, PA.
As American involvement in the Second World War loomed, production of new submarines was greatly increased, with nearly 100 submarines on order by early 1941. In early 1941, nine O-class submarines, including O-9 returned to active duty to serve as training vessels for the many new officers and crewmembers that the fleet would need. On the morning of 20 June, 1941, O-9 submerged as part of her recommissioning. She failed to surface. By that evening, debris from the submarine's interior was recovered, indicating that she had suffered a hull rupture and that the entire crew had almost certainly perished. Despite this, Navy divers attempted to locate the sunken submarine, diving to 432 feet and pushing their equipment far beyond the 300-foot limit that was the design depth at the time. Given the extreme depth and the apparent damage to the submarine, rescue efforts were terminated and a memorial was held on 22 June, 1941. 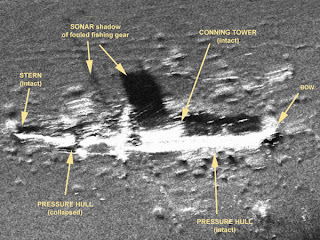 O-9's exact location was lost to time, but in 1997, Klein Sonar (now L-3 Communications - Klein Associates, Inc.) located the the wreckage using side-scan sonar. The forward hull is intact, but the entire hull abaft the conning tower has been crushed by water pressure. Her diving planes are level, indicating she suffered a flooding accident while near her test depth of 200 feet (the water depth is 432 feet). The exact location of the wreck has been kept secret and is known only the a few people in the US Navy. In 2005, the History Channel premiered an episode of "Deep Sea Detectives" titled "The USS O-9: The Forgotten Sub of WWII". 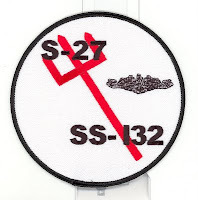 USS S-27 (SS-132) was an S-class submarine, built in the period after the First World War and incorporating many of the lessons learned about submarine operations during that conflict. 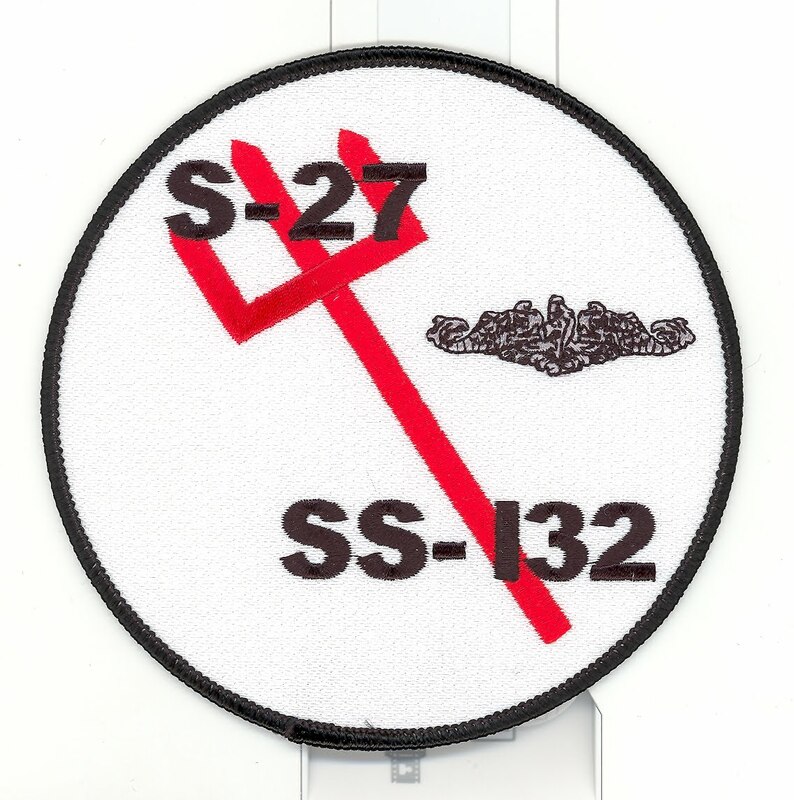 During the 1920s and 1930s, S-27 operated in the Pacific. When World War II started, S-27 was undergoing a routine overhaul at the Mare Island Naval Shipyard. At the end of the overhaul, S-27 was dispatched to the Aleutian Campaign. After conducting a reconnaissance of Constantine Harbor on Amchitka Island and finding no sign of Japanese activity (the village had been evacuated), S-27 headed for Kiska Island, which had been occupied by Japanese forces. However, the dense fog prevented S-27 from knowing exactly where she was, and a swift current pushed her five miles off course. Despite moving slowly, S-27 grounded on Amchitka Island. Unable to free herself, and suffering damage from the pounding surf, the decision was made to abandon ship and transfer the crew ashore. This was done without incident, and the crew occupied the abandoned buildings in Constantine Harbor. On 24 June, a PBY Catalina on patrol spotted signs of activity, and landed to investigate. The entire crew was rescued. 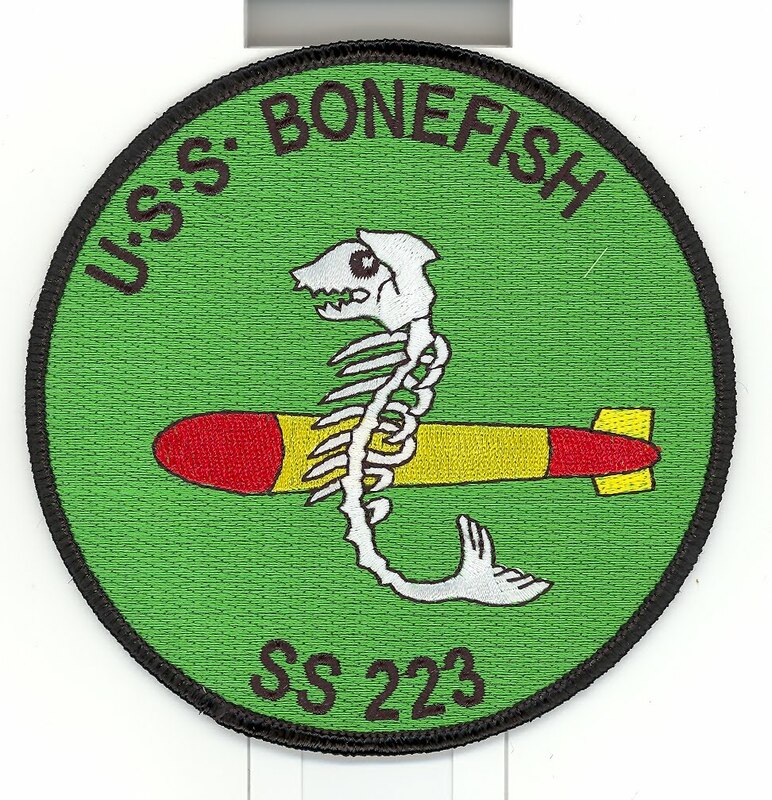 USS Bonefish (SS-223), a Gato-class submarine, was built by the Electric Boat Company at their shipyard in Groton, Connecticut. Commissioned on 31 May, 1943, she was assigned to the Pacific campaign and operated out of the submarine base established at Fremantle, Australia for six combat patrols. After an overhaul in San Francisco, California, the veteran submarine returned to action, operating out of Guam. In one of the more unusual incidents of the war, Bonefish rescued two Japanese aviators after their plane had been shot down by a U.S. Navy aircraft. Bonefish's eighth war patrol was to be her last. Operating with USS Tunny (SS-282) and USS Skate (SS-305) as a "wolfpack", she penetrated the Sea of Japan, one of the last places Japanese shipping could be found in numbers. At the end of the patrol, Bonefish did not make the scheduled rendezvous with the other members of her "wolfpack". After waiting three days, Bonefish was declared overdue and presumed lost. A postwar examination of Japanese records revealed that Bonefish sank the 5,488 ton cargo ship Konzan Maru on 19 June. The resulting Japanese counterattack involved at least five Japanese warships and brought up a large amount of debris and a large oil slick. Bonefish was awarded the Navy Unit Commendation for her first, third, fourth, fifth and sixth war patrols and she received seven battle stars. On 02 May, 1921 USS R-14 (SS-91) got underway from Pearl Harbor to participate in the search for USS Conestoga (AT-54), an ocean-going tug. After seven days of searching, R-14's engines had to be stopped due to an excessive amount of water in the fuel. On 12 May, the Engineering Officer, LT Roy T. Gallemore, came up with the idea of rigging a sail. A foresail was made by sewing twelve hammocks together and using the torpedo loading crane as a mast. A top boom was made out of bunk frames. This sail was enough to propel the submarine at about 1 knot, which turned the propellers enough to allow the batteries to be slowly charged. A main sail was then made by sewing blankets together and lashing them to the radio mast and then a third sail was made with even more blankets. Together, the three sails provided enough force to move the submarine at about two knots. On the morning of 15 May, R-14, after three days under sail, was able to begin running her electric motors, and she made port in Hilo, Hawaii at 9:45 a.m.
USS Conestoga was never found. Image courtesy of Naval History and Heritage Command, Washington, DC. 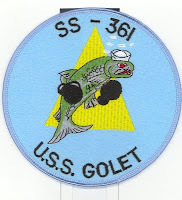 USS Golet (SS-361) was a Gato-class submarine built by the Manitowoc Shipbuilding Company in Manitowoc, Wisconsin. She was commissioned on 30 November, 1943. Golet was lost on her second war patrol. Assigned a patrol area off the Japanese home island of Honshu, she failed to return and was declared overdue and presumed lost. 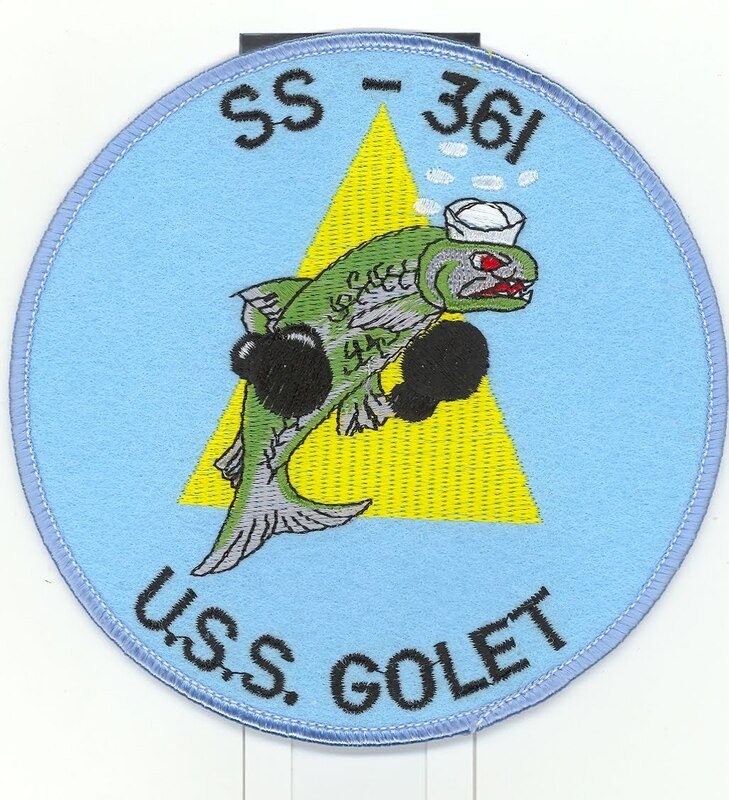 A postwar examination of Japanese records revealed an ASW attack in Golet's area on 14 June. This attack brought up "corks, raft, and so on, and a thick pool of oil..."
USS R-12 (SS-89) was part of a class submarines built after the First World War. These submarines were envisioned as being used for coastal and harbor defense, but they were able to carry enough fuel for extended operations. Habitability was improved over previous submarines, and there was even room aboard R-12 for a small machine shop, allowing for at least limited repairs while underway. Most of the R-class submarines were decommissioned in the 1930s to save money, and R-12 was no exception. She spent nearly eight years in the reserve fleet before being returned to service in 1940. 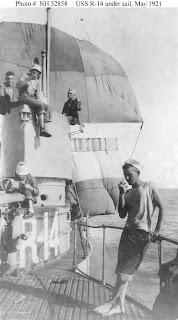 R-12 conducted war patrols out of the Panama Canal Zone during the first few years of the war, then shifted to the New England area for a time before being transferred to Key West, Florida to be a training ship, providing instruction for the many submariners being trained to serve aboard the newer Gato and Balao class subs being built for the war. R-12's career as a school ship was short. She arrived in Key West in May 1943. On 12 June, 1943, R-12 sank during a training exercise. She was scheduled to practice an underwater torpedo attack. As she was preparing to dive, a report was made that there was flooding in the forward battery compartment. Despite an order to blow all ballast tanks, the small submarine quickly flooded and within 15 seconds of the initial alarm, R-12 sank. The only survivors were the Commanding Officer, two other officers and three enlisted men, all of whom were on the bridge when the accident occurred. No one from inside the submarine was able to escape. In all, 42 men, including two Brazilian Navy observers, lost their lives. Since the water depth in the area was about 600 feet, and R-12's crush depth was around 300 feet, no rescue or salvage was attempted. The Naval History and Heritage Command announced on 24 May, 2011 that R-12 had been located on the sea floor in 600 feet of water. A detailed examination of the site is planned for 2012. 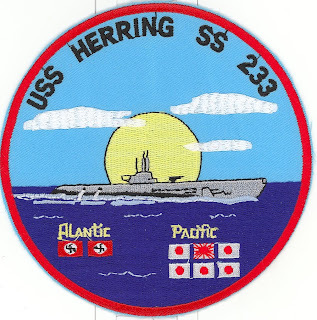 USS Herring (SS-233) was one of only a handful of American submarines to see combat in the Atlantic. Shortly after being commissioned, Herring was sent to the Mediterranean to support Operation Torch, the invasion of North Africa. During her maiden war patrol, she sank the Vichy French cargo ship Ville du Havre. Remaining in the Atlantic, and based out of Rosneath, Scotland, Herring was credited with sinking the German submarine U-163 (some accounts credit a Canadian corvette with the sinking). Her fifth war patrol in the Atlantic ended with her return to New London, CT. She was then transferred to the Pacific Theater. Operating out of Pearl Harbor, Herring was lost on her eighth war patrol. 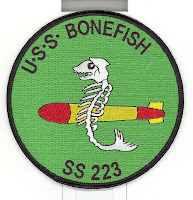 Her last contact with other American forces was a rendezvous with USS Barb (SS-220) on the afternoon of 31 March, 1944. Both submarines were to patrol the Kurile Islands area and cooperate in attacks if possible. An examination of Japanese records after the end of the war revealed Herring's fate. Shortly after leaving Barb's company, Herring made contact with a convoy of three merchant ships escorted by a single destroyer. Herring attacked and sank the Japanese destroyer Ishigaki and one of the merchant ships. The remaining two merchant ships were sunk by Barb. Barb also rescued a survivor of the Japanese destroyer. The next morning, Herring sank two merchant ships, the Hiburi Maru and the while both vessels were at anchor at Matsuwa. However, a shore battery located Herring and scored two direct hits on the conning tower. According to Japanese records, after this, "bubbles covered an area about 5 meters wide, and heavy oil covered an area of approximately 15 miles."